We provide the pre-coated precision metal strips(may also be called a "Multi-layer metal strip "or a “composite metal strip)available with a wide range of coatings and base materials suitable for a variety of electronic part applications. By combining an advanced vacuum process with nanotechnology, we can produce metal strip with consistent coating layers ranging down to 50 nanometers. Yoogle Conticoating pre-coated strip is coated on one side at a time, which makes it possible to combine different coatings on opposite sides, depending on the different application. This gives tremendous benefits compared to conventional coating or other composite process advantages and outstanding product performance. It is a excellent adhesion pre-coated metal strip, even it be bent and formed ,these coatings are also without cracking ,peeling or damaging from base material surface. 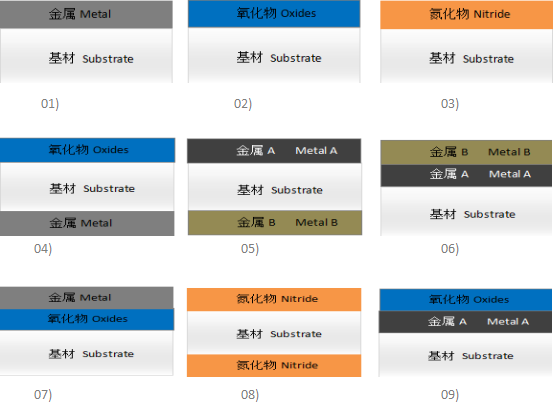 We can provide customized coating on the substrate materials (such as stainless steel, aluminum, copper), single side or double sides coating with one layer or multi-layer of metals or non-metals, to meet the different needs of users, pre-coating technology is flexible, so that we can provide more new materials contribute to the development of new applications .